Besides the issues with my neck, back and legs as a result of the accident, I also received a concussion, brain injury. The concussion wasn’t just forward and back, but also to the left and right. As a result, I immediately lost a good part of my hearing in both ears. I also have a constant headache behind my eyes and at the back of my head, which, on a scale of 1 to 10, with 10 being an ice cream freeze, would be a 2. I can’t run, as running jars my head and increases the headache to unbearable levels. I need to weak soft sole shoes to lessen the impact when walking. If I shake my head, I get the same reaction. Added to that is a loss of memory, like how to spell words that I know I know, or in mistyping others Sometimes I look at or hear a word and I’m at a loss to know what it means. Another example is seeing and picking up an apple, but calling it an orange. I lost my ability to whistle and enunciate certain words like celery. I had my jaw dislocated for 15 months. 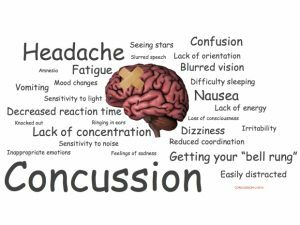 All these symptoms are caused by damage and inflammation of the brain and connective tissue. I had MRI and Cat scan, and while they identified certain areas as “mild patchy white areas, they suggested they were related to age. 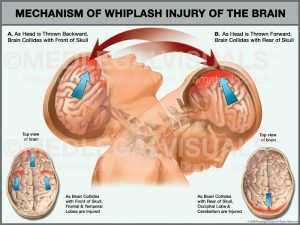 This entry was posted in Body, Health, Medical, Medical - Drugs, Personal, Science - Technology, Self-Empowerment, Society - Culture, Spirit - (Mind) Thoughts - ideas and tagged brain injury, CatScan, concussion, MRI by johnrieger. Bookmark the permalink.